I’ve been wanting to make one of those darling chunky beaded statement necklaces for a while now. They are so popular – you can find them in most designer shops and boutiques. 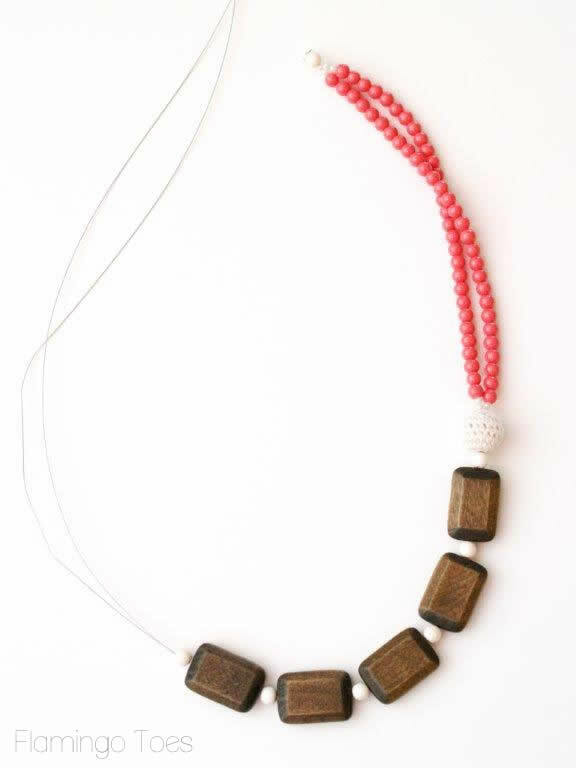 I love how you can really mix up combinations of beads and styles with them – the possibilities are so fun! 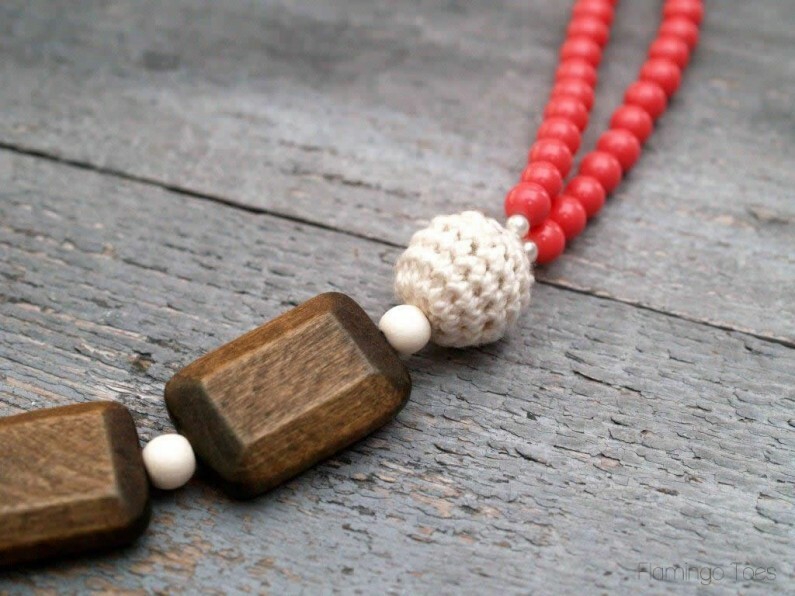 This cute necklace is a mix of wood, glass, & crochet beads – and I love how they all look together! 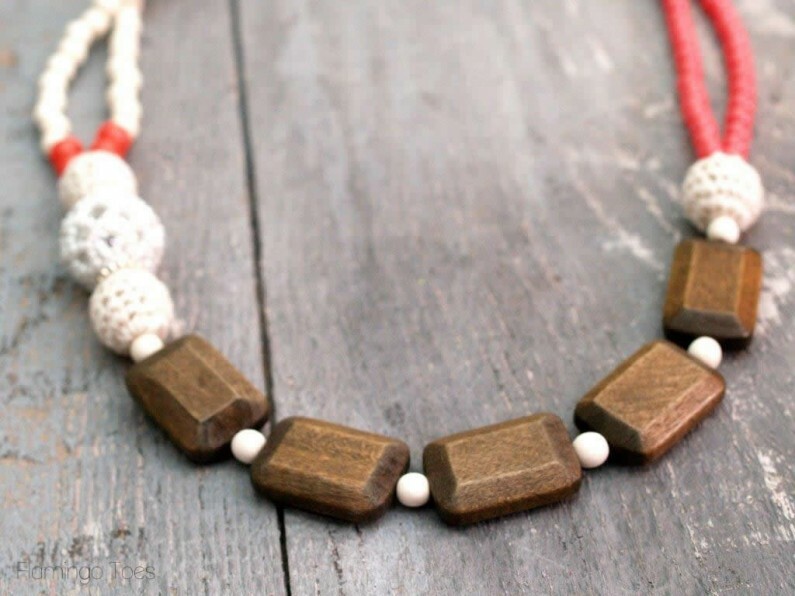 Once of the best parts about this necklace is how easy it is too! You can do almost any combination of styles and textures and wind up with a cool new look. 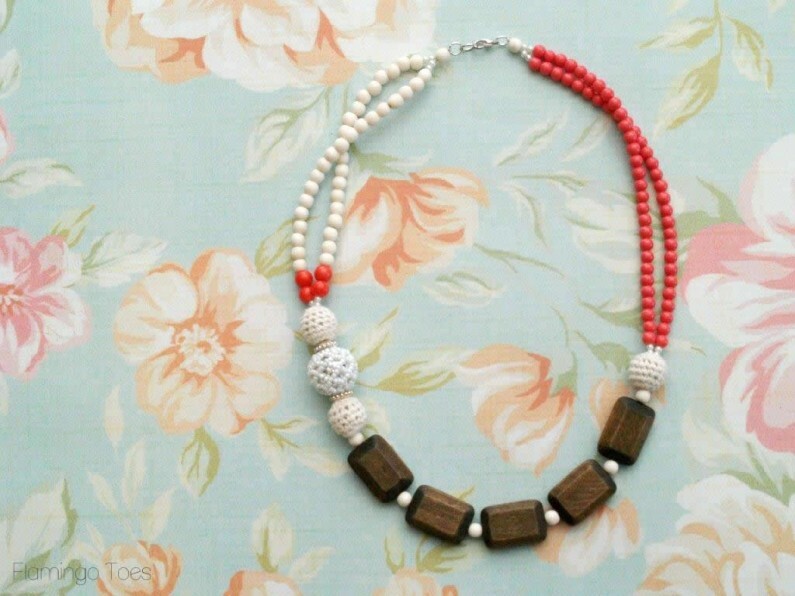 So here’s an simple tutorial to make a statement necklace of your own! assortment of beads in different sizes, textures and colors. 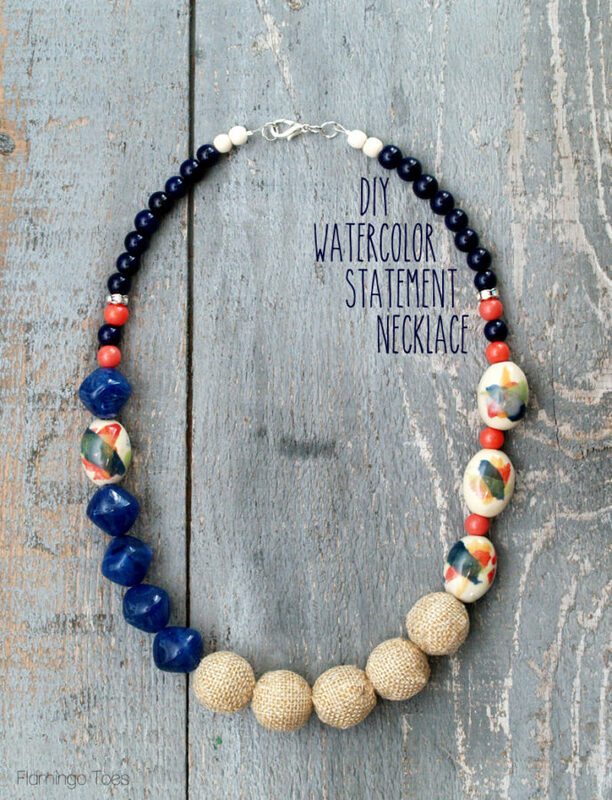 This tutorial is for a 24″ necklace. If you want yours longer or shorter, adjust your measurements accordingly. 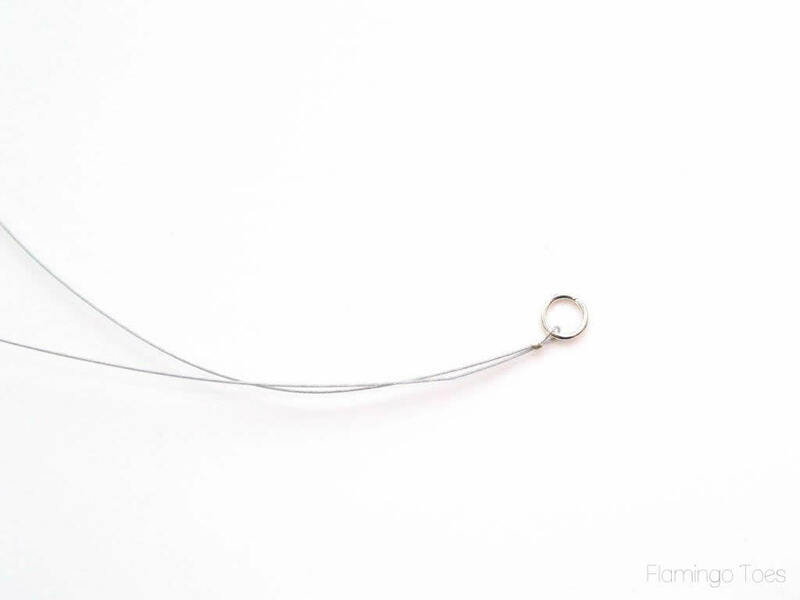 Begin by cutting a mighty long piece of beading wire – about 66″ long. 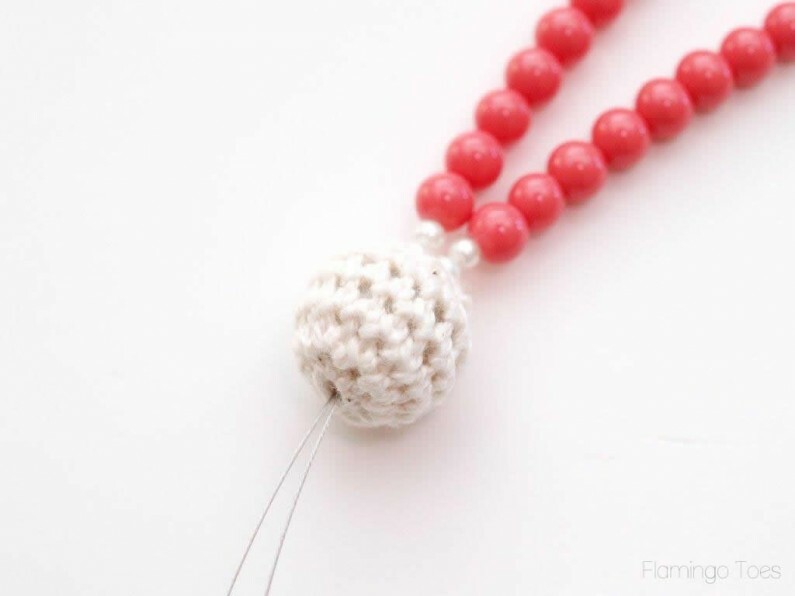 Thread a single bead onto both wires, then thread two tiny seed pearls onto each wire. This will help the wires separate when you start adding the large beads. Otherwise a little bit of wire will show, since the beads won’t be able to sit right next to each other. 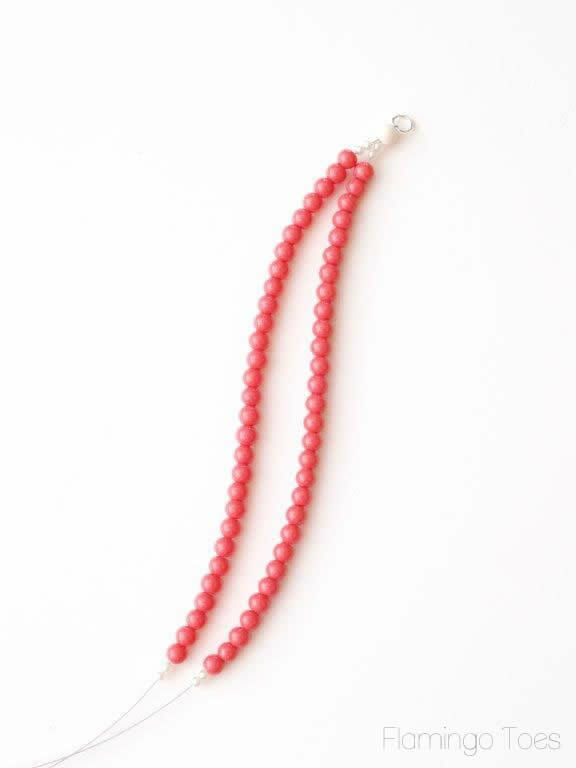 Add 6 1/2″ of small colored beads to each of the wire ends, then add two more tiny seed pearls to each strand. Feed both wires through a large bead. Now add some large rectangular beads to wires. Space them apart just a bit by using your small beads between them. Add an assortment of larger different style beads next. I used two more of the crochet beads, along with this fun beaded mirror ball bead. There are small silver spacers between them. Separate your wires again. Add two seed pearls to each wire, and then two colored beads. 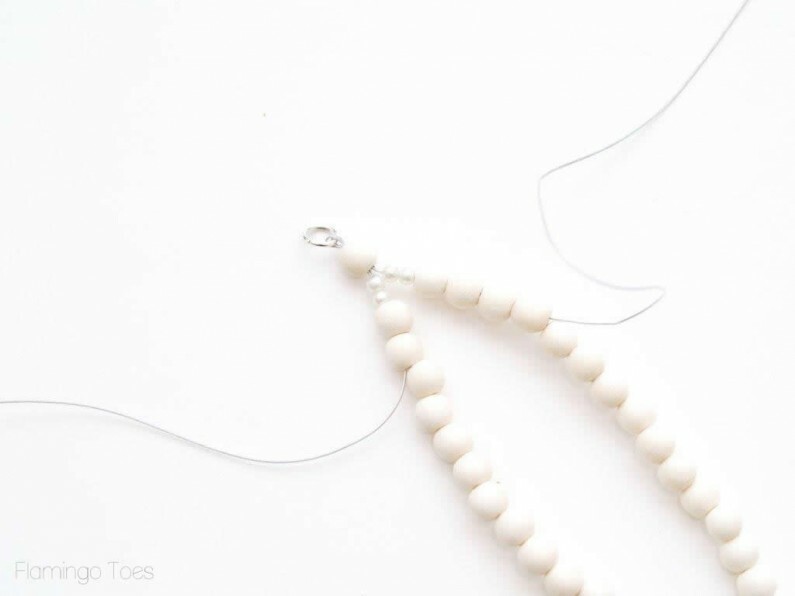 Add 4″ of neutral beads to each wire. Finish off with two more seed pearls on each strand, then a single bead. Thread both wires through a crimp bead, then through a jump ring. Loop the wires back through the crimp bead, then feed them through a few inches of the beads. Crimp the crimp bead closed and cut the ends of the wires as close to the beads as possible. Add a large jump ring to one end of the necklace. Open up the jump ring on the other side and add a lobster clasp to that end. Close the jump ring to finish your necklace. Woohooo! There are so many fun bead and color options you could do with this! I love it! What do you think? 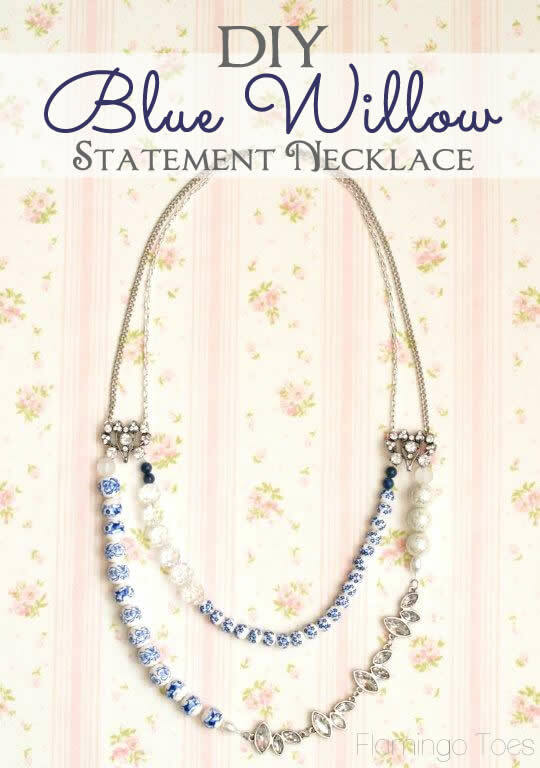 Do you like the statement necklace trend? If you like statement necklaces – you might like these too! I love this necklace! The colors and textures are perfect together. Thanks for sharing the tutorial. Wonderful necklace. Like your chose of beads. Fun Fun. 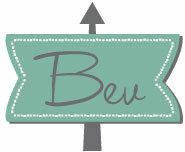 Gorgeous Bev! Well done as always! I am Pinning this for sure. This is super cute! Love the colors! Thanks for the inspiration! Super cute! You make it look so easy. Every-time I make jewelry it is not this cute! Cute necklace! 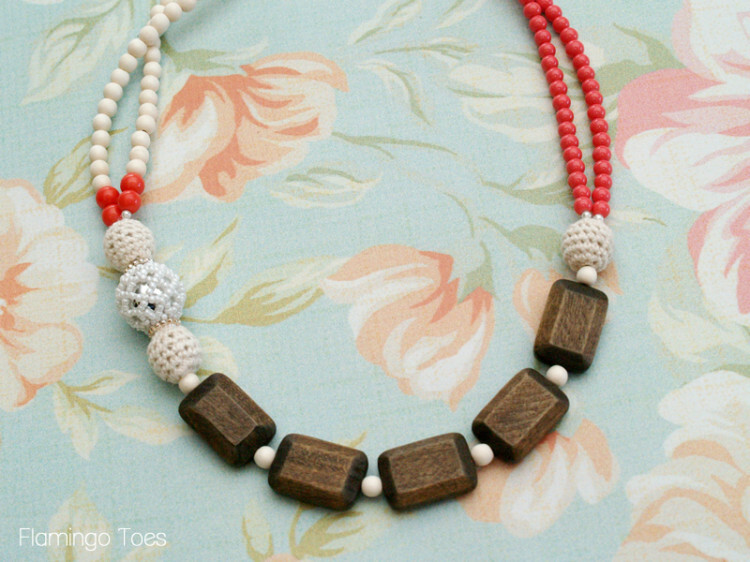 I love the wooden beads! 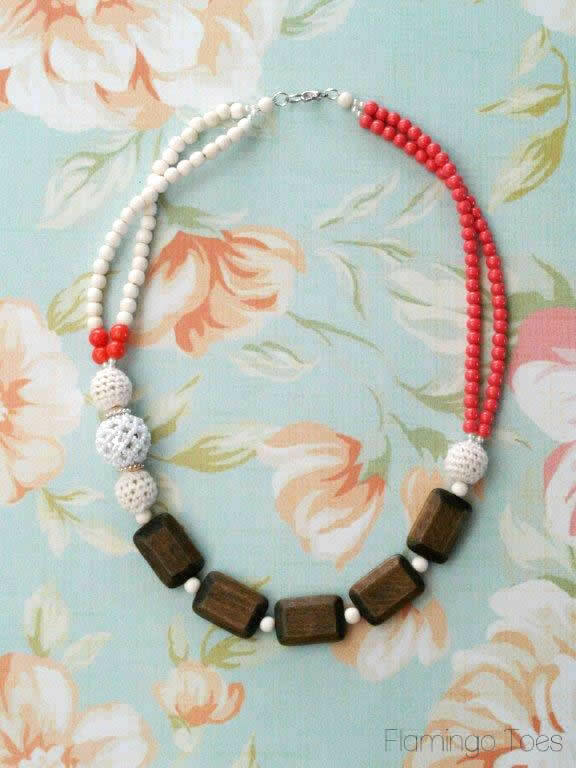 I love wooden beads too. 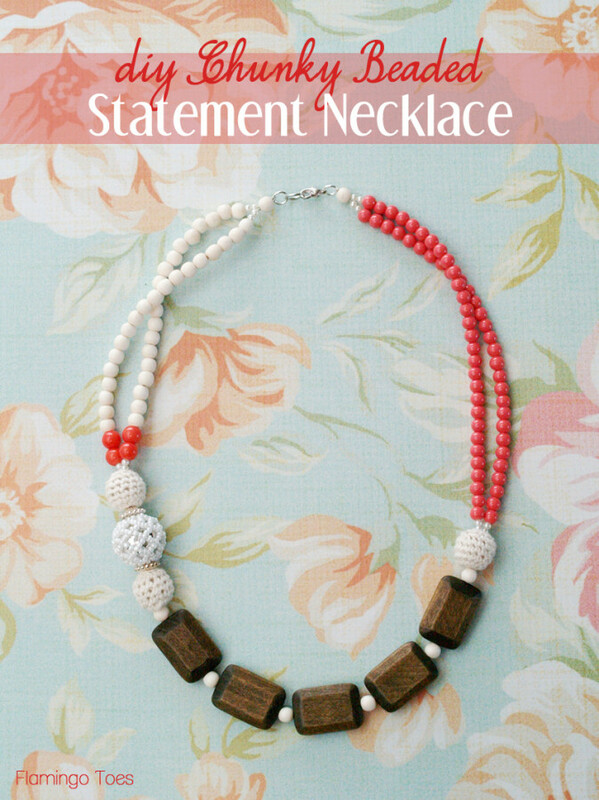 I love the colors, it such an adorable necklace! Thanks for sharing! Thanks Stephanie! The crochet beads are from Jo-Ann’s! I’m not completely sure (I bought mine in-store) but I think these are the beads: http://www.joann.com/blue-moon-beads-7in-strand-crochet-covered-bead–cream/12178646.html#q=crochet+bead&start=5. 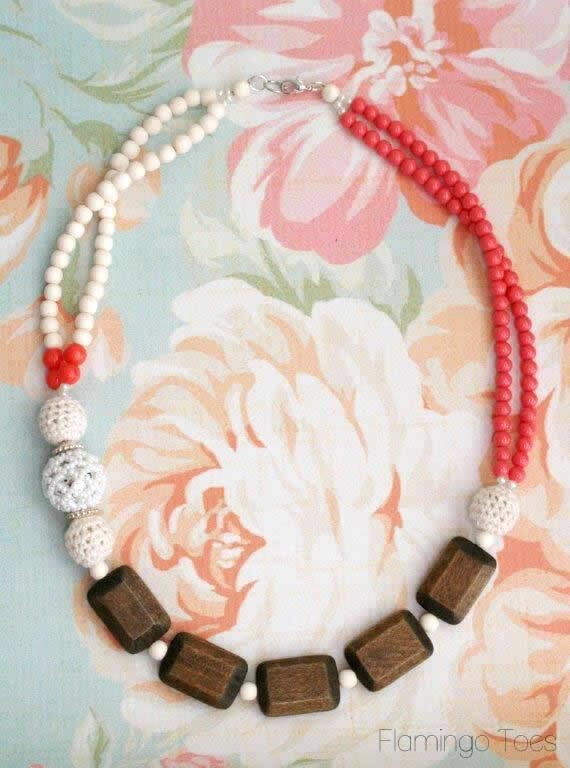 I love the colors, it such an adorable necklace! Great necklace! I love your combination of beads in different textures, shapes, and colors.